Thank you very much!!! ✨✨✨✨ Well, you know how it is with jam time limits, lol. i had never heard of Bitsy before playing this, and its so fun to mess around with! Very cute and got a laugh out of the ending! Nice work making a platformer out of bitsy and love the gameboy (gamegirl?) colors! Perfect use of the Gameboy achievement! Very enjoyable experience and clever dialogue, great job! Emma, you rocked this. Nails the look and feel of old school handhelds, and the writing is pithy as hell. Congratulations, great work. So much fun! Great dialogue and I loled several times. I love everything about this. The trailer did a fantastic job of making me want to play the game. Thanks!! The trailer was made by me panicking/rushing around the last 30 minutes trying to get screen recording to work, so, I'm relieved it does the job! Nice retro name! 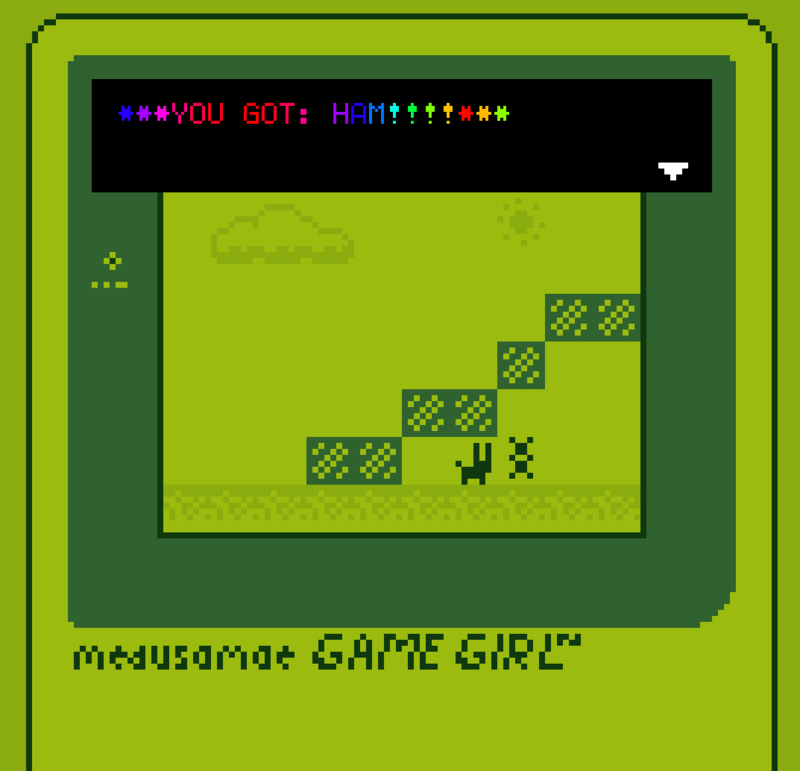 Very polished, and definitely nailed the GameBoy jam achievement! Amazing Game, I liked the twist ending. The music works perfectly and the mechanics are awesome and were introduced in a fun way. I LOVE YOUR GAME! As a gamer I love it, as a sound designer I love it, as a woman I love it, as a queer I love it, as a feminist I love it....your sammich game is amazing. Wow the story and just everything about this game is on point! Good Job!